The Maegan mobile platform. (Image: Tacit Innovations). About a year and a half ago, Cris Jucan was out with some friends at a restaurant, waiting for a server to get them a fresh round of drinks. But with no server in sight, Jucan and company pulled out their phones, checking email and text instead of continuing their conversation. The experience was one that stuck with Jucan, leaving him wondering why he and his friends couldn’t just place orders using their phones. He began researching what apps were already on the market, and he found a slew of apps for consumers, helping them track down restaurants, place reservations, and check out reviews. But there was nothing that would help restaurants improve their customers’ experiences as an end-to-end solution – from finding a restaurant, to placing an order, to paying at the end of a meal. That gave Jucan the spark he needed to begin working on Maegan, a mobile ordering platform that doesn’t serve just consumers – it also gives restaurants a boost. “I feel that what happens is that in the restaurant industry, margins are really low, so profits are small and technology is very behind,” says Jucan, now the CEO of Tacit Innovations, the startup behind the Maegan platform. Unlike other restaurant service apps, like Yelp, Urban Spoon, or OpenTable, Maegan allows consumers to download the app and then look for a restaurant by searching for location and types of food – for example, burgers, or gluten-free dishes. Consumers can then go to the restaurant, speak to the server and tell him or her they’ll order with Maegan, and then search through the menu to figure out what they want to order. After deciding, they can place an order using Maegan, and then once they’ve finished their meal, they can pay using Maegan as well. In terms of payment methods, consumers connect their credit cards to Maegan. The credit card data is stored with Moneris Solutions, a third-party payment solutions provider. Consumers aren’t charged any fees for using the app, but restaurants are charged the same fees they would pay to credit card providers or banks. And to appeal to a tech-focused crowd, Maegan also accepts Bitcoin. While he’s never worked specifically in the restaurant and food services industry, Jucan has two decades of experience in working with point-of-sales integration – giving him an edge in building the Maegan platform. Not only does Maegan provide a better customer experience, helping people get served faster and pay their bills quicker, but it also helps restaurants provide their customers with more information, Jucan says. “[Maegan] helps restaurants upsell their products, and to better promote their stories. For example, there are restaurants who want to tell where they purchased their ingredients, how they cook the food, how they prepare it,” he says, adding restaurants can also share nutritional information and allergy alerts. Jucan and his team have plans to also add on other integrations in the future. For example, if a restaurant is using OpenTable to allow customers to book reservations, the goal is to allow the restaurant to integrate that with Maegan to create a seamless experience. One of the first restaurants using Maegan is The Bauer Kitchen, a restaurant in Kitchener-Waterloo, Ont. It’s only been about a week since it integrated Maegan into its system, but there’s potential there, says Jody Palubiski, managing partner of the Charcoal Group, which owns the Bauer Kitchen. While people often ask him to look at their products in beta, Palubiski says he chose Maegan because he feels it lines up with the future of the restaurant and food services industry – it helps save consumers time, and it allows them to do everything using mobile technology. The challenge now is to get consumers into the habit of using it, though he says platforms like Maegan will gradually become the norm. In the next two months, Palubiski says he’s excited about rolling Maegan out to the Bauer Bakery and Café, which is focused mostly on takeout. But he’s also looking forward to seeing what consumers say when they use Maegan to learn more about the beers they’re drinking at Beertown Public House, a restaurant offering more than 100 kinds of beer. In January, Tacit Innovations raised about $700,000 in a funding round led by BDC, Canrock, Hyperdrive, private investors, and the founders themselves. For the next year or so, the plan is to expand Maegan to other restaurants, Jucan says. 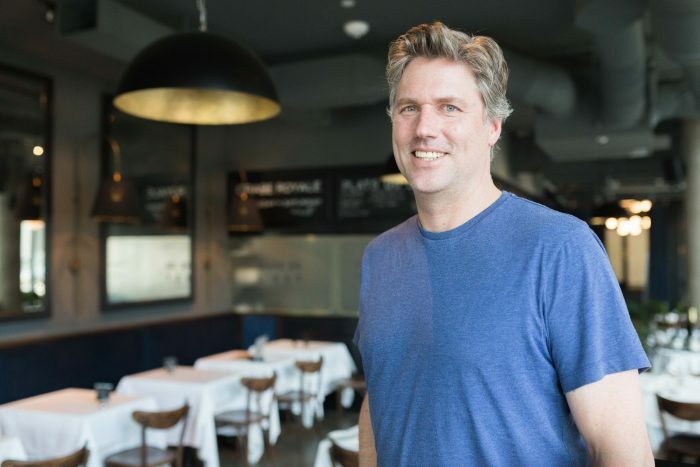 So far, Tacit Innovations has also on-boarded Magic Oven, a pizza chain in Toronto, and it’s looking to add another restaurant in April, Jucan says. The company will be focusing on expanding into other Kitchener-Waterloo and Toronto-area restaurants this year.